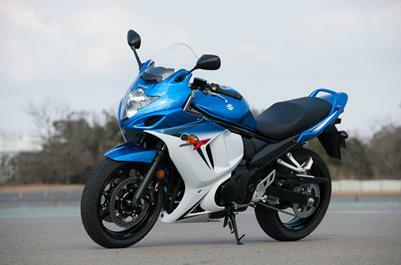 Suzuki has expanded its learner-approved range of motorcycles, already the largest in Australia, with the arrival of the 2009-model GSX650FU and SV650SU. Suzuki Australia has proudly added an exciting new model to its extensive range of sports motorcycles with the introduction of the all-new, fully-faired Suzuki GSX650FK8. Suzuki has announced exciting plans to introduce the brand new, fully-faired GSX650F sports motorcycle to the Australian market later this year.